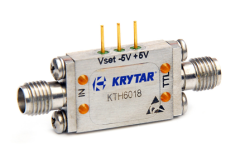 HOME PRODUCTS &AMP; SERVICES DIRECTORY OF SUPPLIERS KRYTAR, INC.
KRYTAR is a recognized leader in ultra-broadband passive microwave components with over 40 years of experience. Our customers have come to expect high performance and top quality that ensures success for military and commercial applications. 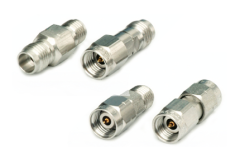 We specialize in ultra-broadband components with frequencies ranging from DC to 67 GHz including directional couplers, directional detectors, 3 dB hybrids, MLDD power dividers/combiners, detectors, terminations, coaxial adapters and a power meter. 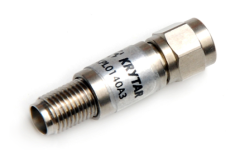 With over 200 standard off-the-shelf components, KRYTAR is able to quickly meet your broadband needs with deliveries ranging from IN-STOCK to 4 weeks ARO on our most common products. Our focus on ultra broadband components guarantees the quality and performance customers have grown to expect over the years. KRYTAR is located in Sunnyvale, California and was founded by Thomas J. Russell in 1975. Mr. Russell was a recognized microwave pioneer specializing in ultra broadband coupler technology. He developed one of the fi rst proprietary computeraided- engineering (CAE) tools for creating microwave couplers and was a recognized leader in high performance designs. His original work laid the foundation for KRYTAR becoming a leader in ultra broadband, high performance microwave products. Today KRYTAR has a dedicated facility for the design, manufacture and support of our products. Mr. Russell’s original management style was based on trust and respect for both his employees and our customers. The continuation of his management philosophy has been essential in building strong relationships with our customers and has resulted in steady growth for over 35 years. KRYTAR’s close relationship with its customers enables the company to provide superior customer service and support a variety of custom solutions. Our engineers and manufacturing team have worked over the years to design custom solutions meeting the highest performance technical requirements tailored for the most challenging applications. If your application pushes the boundaries of what you see in our catalog, please contact us to discuss your requirements! Informs readers of developments in microwave and radio frequency system design as well as new applications. Look for your first issue of the Components for RF & Microwave newsletter to arrive soon. View More Product Announcements from Krytar, Inc.